This is Patty Jenkins’ immediate reaction upon hearing that in 2018, there are still 32 states across the country where LGBTQ people can be fired from their jobs, evicted, or denied service in a public space like a hospital or a hotel simply because of who they are. “I would never have believed that in 2018….wow,” she exasperates. “I think I maybe could have wrapped my head around a couple being the case, but certainly not something like this.” To hear this reaction to the unfortunate continued prevalence of discrimination in our society is one thing, but hearing it from one of the premier filmmakers in the world right now is quite another. Patty Jenkins has her pick of projects and loads of critical and commercial success behind her, following last year’s release of her film Wonder Woman, a long-gestating project that became the top grossing superhero origin story of all time, making over $820 million at the worldwide box office and in the process becoming a cultural milestone that shifted the paradigm on the power, influence, and ability of women across the world. Since 2003, Jenkins has been racking up success after success in Hollywood following the release of her debut film, Monster, about the life of Florida serial killer Aileen Wuornos; the movie brought Charlize Theron an Academy Award as Best Actress and won Patty the Independent Spirit Award for Best First Feature. Since then, she has worked in both film and television, helming episodes of Arrested Development and The Killing, winning a Directors Guild of America award for the latter. It was Monster, in fact, that began to strengthen her bond with the LGBTQ community. “When we were making the film, I visited a lot of LGBTQ clubs and hangouts,” she says. “From reading Aileen’s personal letters, it was clear that the LGBTQ community were the only people who ever showed her any kindness after all the years of abuse she had suffered starting from a very, very young age.” More than a decade later, following the 2016 mass shooting tragedy at Orlando nightclub Pulse, Jenkins wrote the forward to the graphic novel Love is Love, a compilation of artwork and comics from various writers and artists in honor of the victims; the book is now in its fifth printing, and all proceeds benefit the Pulse Victims Memorial Fund. When it comes to the movement for LGBTQ-inclusive nondiscrimination, the topic of President Trump’s policy banning transgender service members from serving in the military surfaces. Trump’s anti-transgender military ban was passed by the President’s executive order in August, but thanks to our legal partners at NCLR, GLAD, Lambda Legal, ACLU, SPARTA, the Transgender American Veteran Association, Outserve-SLDN, and more, the ban is currently stayed by multiple courts due to the question of its constitutionality. Anyone who’s seen one of Jenkins’ projects is aware that among her many gifts, she is a talented storyteller, focusing always on the importance of a character’s narrative, rather than extraneous set pieces or special effects. This commitment to storytelling is a central focus of the LGBTQ movement, including the work of Freedom For All Americans. Patty further goes on to explain that storytelling helps to even further dispel myths and break down stereotypes — something that LGBTQ people are all too familiar with. 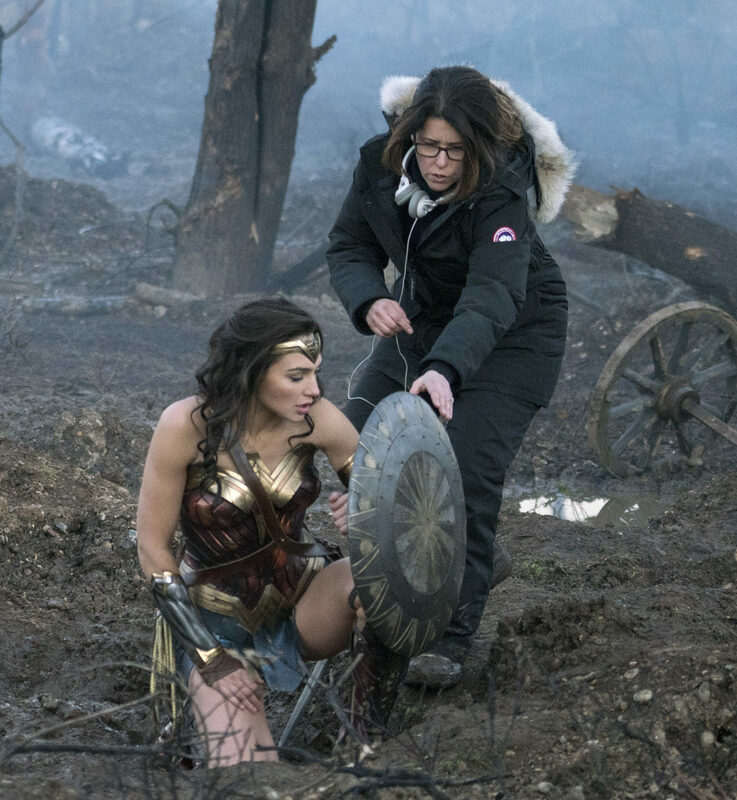 Patty Jenkins understands the heart of Wonder Woman better than anyone – and part of that is that she knows her most admirable character traits, the ones that inspire others to fight against their own struggles, whether personal or on a larger scale. Jenkins knows that these struggles resonate especially deeply for LGBTQ people. Patty Jenkins is currently in pre-production on the sequel to 2017’s Wonder Woman, and will soon direct the pilot of the TNT Network limited series One Day She’ll Darken. Our thanks to Cassandra Brewer at PMK-BNC and Tony Barbera at Warner Bros. for their assistance in this piece.